As Michigan natives, we both have fond memories of childhoods filled with books. Curling up late at night. Long, sunny afternoons, beachside along one of the Great Lakes, reading until the sun went down. When we heard about Borders closing shop nationally, our immediate reaction was, “What about downtown Ann Arbor?” We grew up here. We have family here. We couldn’t stomach one of the most literate, creative cities in the nation (the world?) without a downtown general bookstore to share ideas, discuss books, and meet authors. While Ann Arbor does have some truly great niche bookstores downtown, and the great general indie Nicola’s on Ann Arbor’s west side, we feel that not having a general bookstore in the walkable downtown are is a great disservice to the community. So, we decided to move 1,000 miles, from Brooklyn to Ann Arbor, to start a bookstore. To bring books back to downtown Ann Arbor. To show that independent bookstores thrive in communities that value the written word. 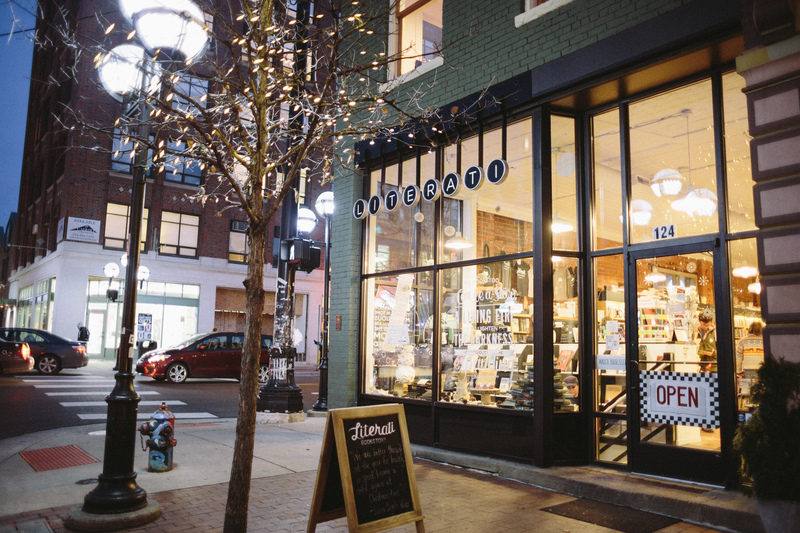 To show that bookstores could thrive in vibrant downtowns like Ann Arbor. To support local authors, artists, readers, writers, kids, adults, and anyone else who loves books as much as we do. And we’ll be the first to admit, we’re pretty scared. But at the same time, we’re excited. We’re excited to share our favorite books. To learn about other’s favorite books. 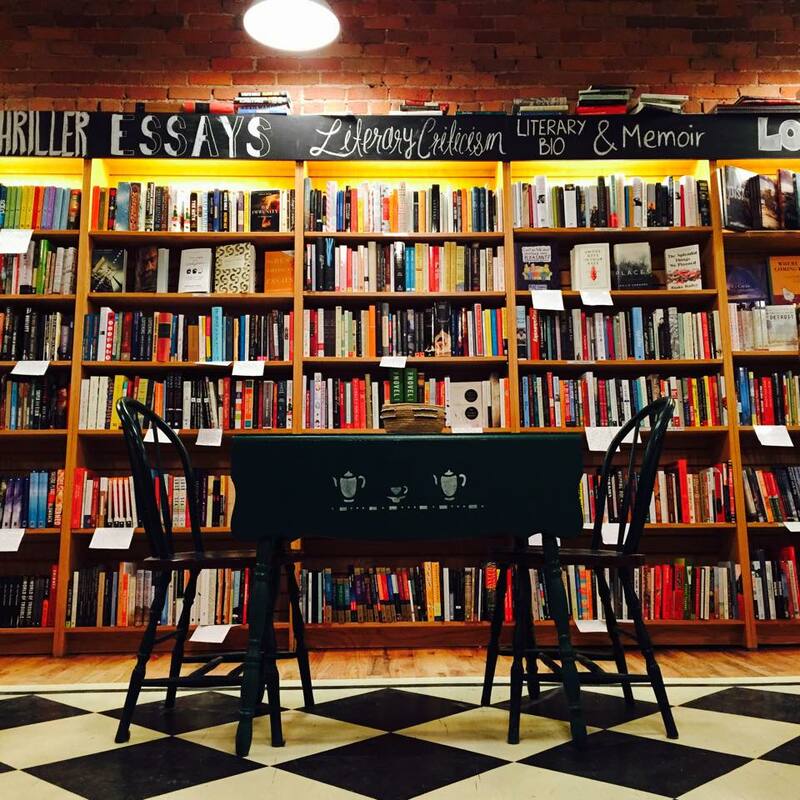 We’re excited to grow with Ann Arbor, and create a quirky, fun, and hip general bookstore, with book clubs, author events, panels, discussions, singles dating nights…. You name it, we want to do it. But mostly, we just want to bring a general bookstore back to downtown Ann Arbor. This will definitely make me look forward to my next return to Ann Arbor. Hope your door will be open in April! And best wishes for great success. dear Michael and Hilary, Keith Taylor has told me about your enterprise. I wish you the very best of luck in this difficult for bookstores time. I would be happy to do a reading at your store when appropriate after the opening (with Keith, should you like that idea). I have a new large compendium just out, The Price of Experience, from Black Widow Press (my current main publisher, along with Wesleyan U Press). Wesleyan will bring out a new Cesaire translation this spring. On January 24, at 7 PM, I am doing a program on The Price of Experience at Nicola’s in the Westland Mall. Keith will introduce me. If you are free, please come and introduce yourselves. I am my girlfriend are totally geeked about this! Congratulations on having the courage! What a thrill to see a gorgeous bookstore opening instead of closing! I wish you the best of luck and will check back to revel in your progress. Hey, it might be a good idea to put a Contact Us page on this site. Hi there! Your shop looks amazing. I am in the process of redesigning a room in a library and am wondering about how you did your floor in the book store. Is that an oil cloth or is it painted on the wood? Thanks for you help and good luck w/you shop! We painted on the floor. It was about a 4 day job. We first scuffed the wood then painted two coats of white paint. Then we measured and chalk lined out our black squares and fortunately that only took one coat. Then we did two coats of poly. So far, so good! The only major concern is that you really have to watch scratches, even more so than with regular hard wood, because if you scratch the black paint, you can’t really touch it up over the poly… Hope this helps! congratulations! we loved our first visit to your store last night and are talking it up! we’ll be back soon and often. Very exciting! I’m so glad to hear there’s a new bookstore in town! Congratulations! PS, Are you on Twitter? I wish you so much success! It has been sad to live far away and hear that this bookstore has closed, or that one–stabs in the heart!–and to know now that there will be one more place to feel at home in, in a city I love so much… I’m overflowing with emotion. Can’t wait to see the store next time I’m in Michigan. I’ll love the poetry and cookbook sections, my husband the science, and my daughter the children’s. You are kind, brave, brilliant souls. I have to admit that I was rather disappointed to find that you don’t seem to have a local authors section. I can hardly support a store for “being local” when the store itself doesn’t support local producers of the very product it sells. We do have a local author section. It is on the lower level. Hello. I love your shop, though Nicola’s had been my go to place for years. I am glad to hear you relocated from Brooklyn– my son and his girlfriend are moving back to AA from Brooklyn and cannot wait to have our downtown to explore. 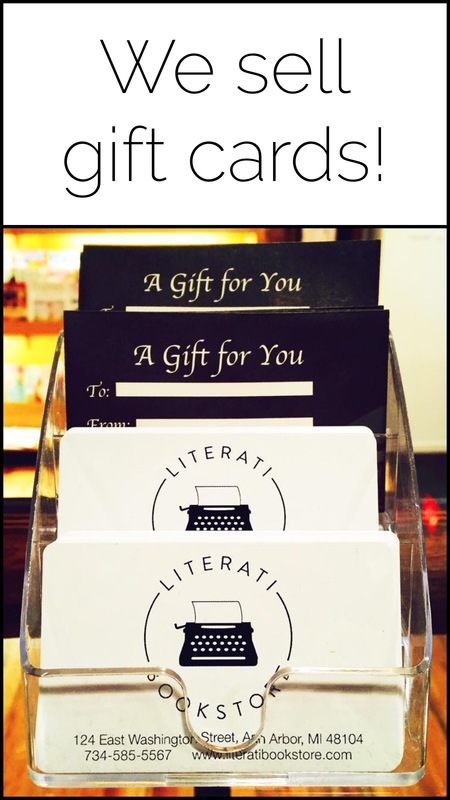 I will be sure that Literati is tops on their list of must visits . Hi Jane! Great to hear from you and thank you for your kind words. We look forward to seeing you! 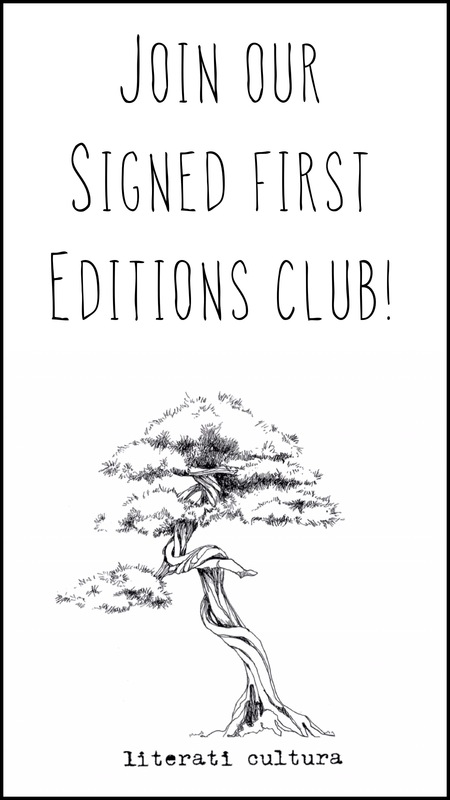 We have a few different book clubs listed here on our website! http://www.literatibookstore.com/book-clubs They meet about once a month, are free to attend, and if you buy the book from us, you get a 15% discount. 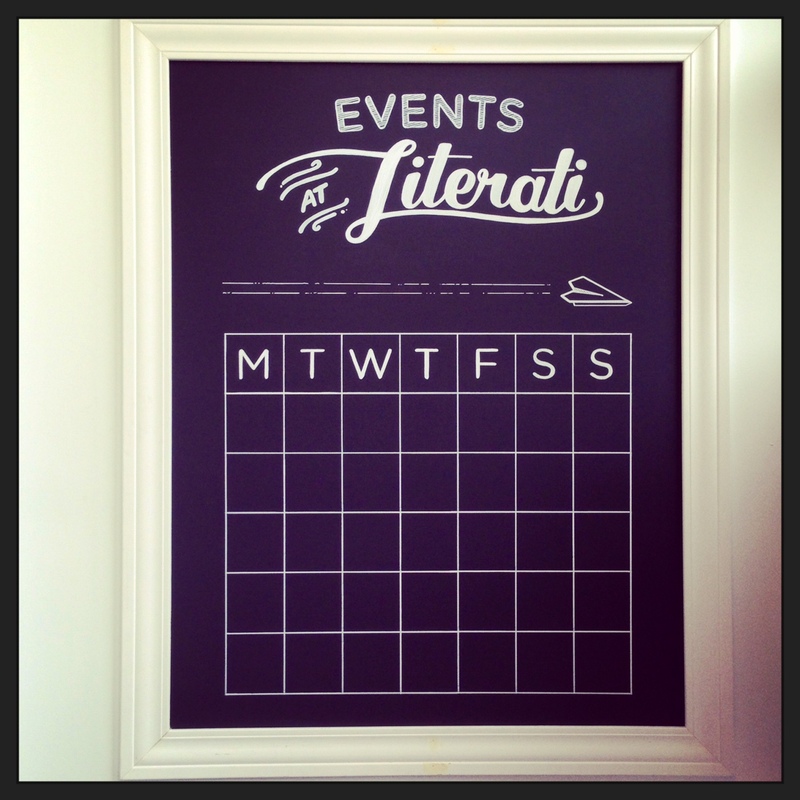 We also have a great email newsletter that we send explaining upcoming events, and that sign-up form is on our website literatibookstore.com or you can give us a call and we can add you. I really need to come visit! I have to say I’m one of those people who still appreciates a physical bookstore too. There’s the browsing and then there’s the staff (who tend to know what I’m looking for even if I don’t). Thrilled to learn of your bookstore. I’m making regular visits to the Detroit/Ann Arbor area and am starved for an independent bookstore. You will be seeing me soon and often!